Experience country life at it’s best with a unique farm stay experience at Mona Farm. We offer luxury accommodation across six superbly appointed historic buildings, set within acres of magnificent, award-winning gardens. The serene garden setting and stylish interiors provide all the essentials for a picturesque and peaceful country escape. Our accommodations are available to book individually or can be hired exclusively as the entire Estate. The largest of the historical buildings at Mona Farm, The Homestead is the original convict brick Georgian house built in 1853 which was expanded in the early 1900s. 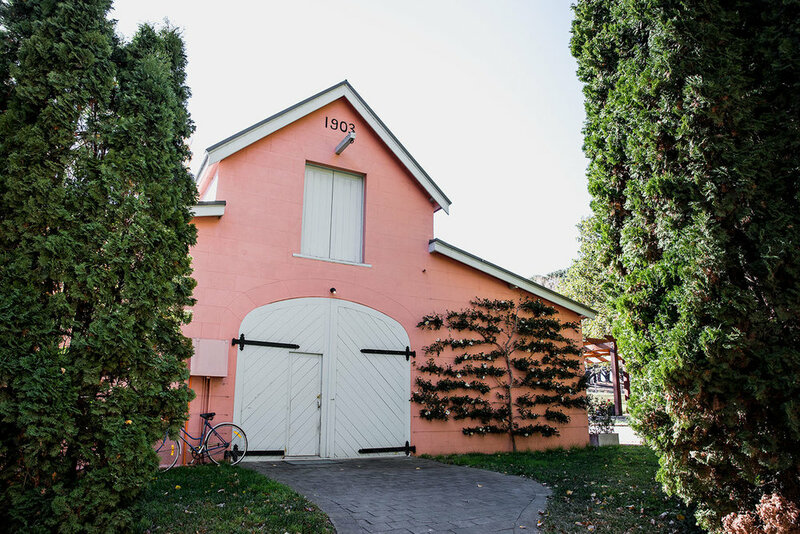 Built in 1903, The Coach House was once the building that housed the property's original Cobb & Co coaches. Today, The Coach House provides a sense of laid back luxury and is the perfect setting for a country getaway. This self contained accommodation building is currently being completely renovated and from mid 2019 will provide luxurious accommodation for up to 18 guests. The Cottage is located near to the main Homestead and boasts views across the lake. Currently being converted to accommodation, completion is expected in August 2019. One of the oldest buildings at Mona Farm, The Old Stables was built in 1859. This building will be converted to high end accommodation for 2 guests, with completion expected in 2020. Originally the Shearers Quarters for the farm, this building is located next to the converted Woolshed and alongside expansive paddocks. Once complete, this building will accommodate up to 4 guests with completion expected in 2020. When reserving Mona Farm exclusively, guests have private access to discover all Mona Farm has to offer; the accommodation buildings, the award winning gardens and the farm. We have a number of accommodation partners we recommend in Braidwood and the surrounding areas. For more information, please get in touch below.